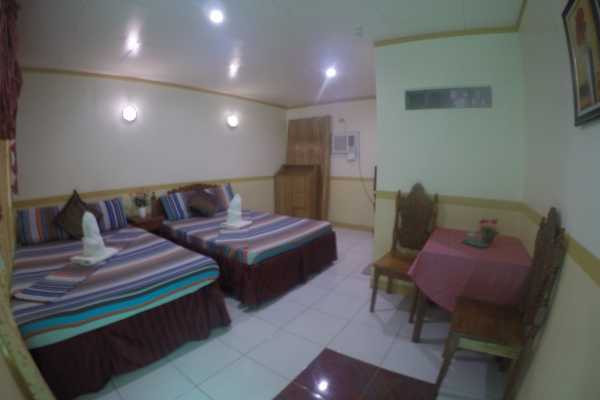 Puerto Princesa City: 4d3n Inclusions: 3 nights room accommodation at D lucky Garden Inn . 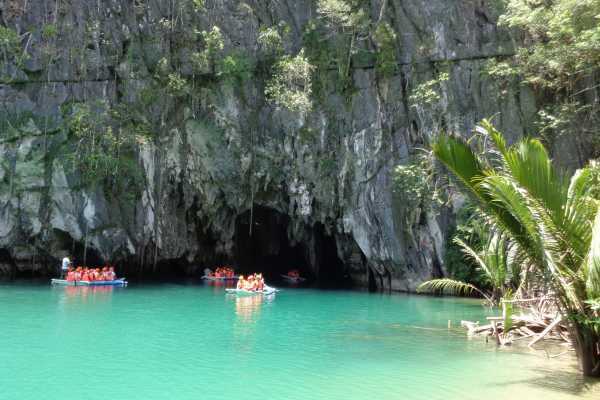 Entrance fee and permits Department of Tourism accredited and Licensed Tourguide. Boat transfers and Boat inside the cave Underground River tour with buffet lunch Honda bay Island hopping tour with buffet lunch City sightseeing tour : Bakers hill; Mitra ranch, Plaza cuartel, baywalk, cathedral,souvenir shopping Airport Pick up an drop off Van pick up and drop off during the tours 3 days set breakfast Rate promo: Php5800 pesos per person in philippine currency or 120$ USD per person Rate is applicable minimum of 2 adults per room. Inclusions: 2 nights accomodation in elnido Airport pick up and drop off 2 days breakfast 1 day Elnido Island hopping tour to: BIG LAGOON, SMALL LAGOON, ZIMIZU BEACH, 7 COMMANDO, SECRET BEACH With boat, 1 day lunch, entrance fees and guide during the island hopping tour Transportation by van from puerto princesa city to elnido. minimum of 2 adults per booking. ITINERARY: Day 1 - Arrival and airport pick up; Proceed to elnido Check in: Accomodation in elnido ( to be advised depending on availability) Day 2 - Island hopping in elnido with boat, lunch, entrance fees. BIG LAGOON; SMALL LAGOON, ZIMIZU BEACH, 7 COMMANDO, SECRET BEACH 2nd night accomodation in elnido Day 3 - Island hopping in elnido with boat, lunch, entrance fees. 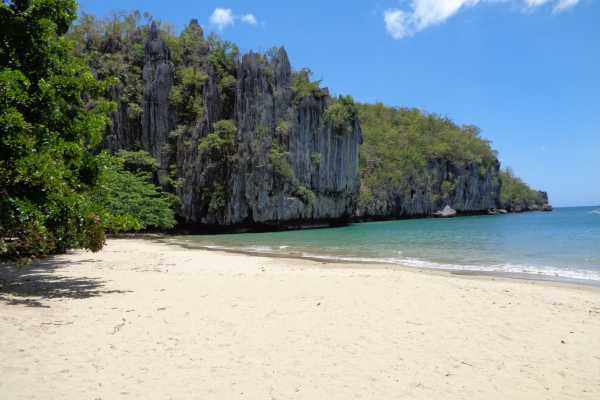 Hidden beach, Matinloc shrine, talisay beach, secret beach, helicopter island Back to Puerto princesa city after the tour. 3rd night in puerto princesa city D lucky garden inn. Day 4 - check out airport transfers, drop off to puerto princesa city international airport. 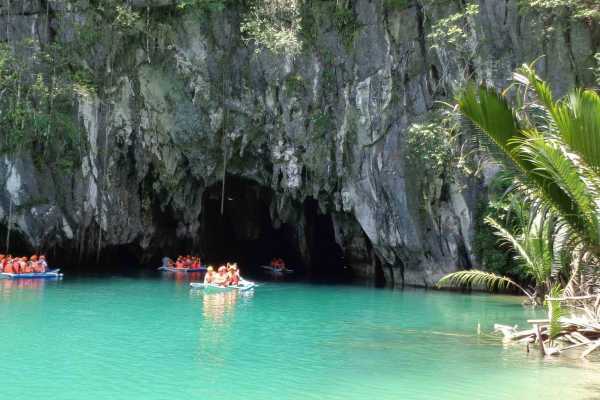 INCLUSIONS: – 3Nights accommodation at D lucky garden inn Puerto princesa city – 1 night accommodation in El Nido – Roundtrip van transportation from Puerto to El nido and vice versa – 4 days breakfast – Boat, _ Entrance fees, Government permits to enter the cave – LicensedTourguide – Underground river tour with lunch – Honda bay island hopping tour with lunch – El nido island hopping tour with lunch _ Big Lagoon, small lagoon, zimizu beach, 7 commando, secret beach. 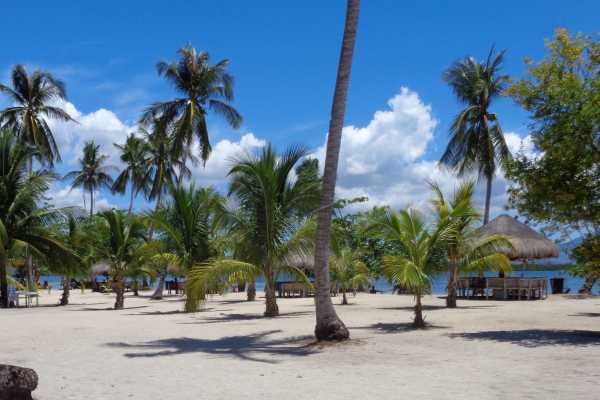 – Land transportation during the tour – Crocodile farm, bakers hill, mitra ranch, city sightseeing trips, souvenir shopping, plaza cuartel, baywalk, cathedral.